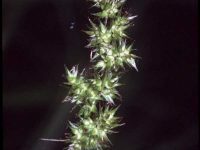 This grass has a very interesting inflorescence that hang down along one side of the flower stalk. Makes for a nice addition to the fresh cut or dried bouquet in early fall! 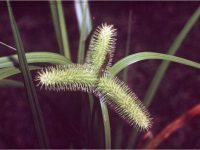 This grass is often used in upland native grass seed mixes. It has short rhizhomes that eventually fill in around the many other bunch grasses found on the prairie. Basically this grass helps tie all the other grasses together into a nice fabric! 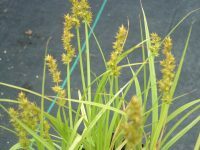 This grass grows well on deep soils and in sand or gravelly. It is a very good choice for upland areas of a shoreline restoration project! Wildlife Uses: Deer and antelope eat it in the summer when it is green. Birds love to eat it’s ripe seeds and it is a good grass for attracting butterflies, especially Skippers! Crop Uses: One of the most important forage grasses, it appears earlier and stays green in the fall longer than other Grama grasses. 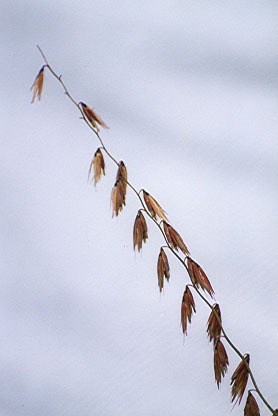 More Info: Side-oats Grama can be effective at erosion control if combined with other species.